Height Range of 36.4 to 52.2"
The height-adjustable Auto-Grip Alto/Tenor Saxophone Tall Stand from HERCULES Stands securely supports your sax during standing or sitting performances. Simply rest the bell of your sax on the yoke, and the stand's arms slide down to secure your instrument with the Auto-Grip System (AGS). 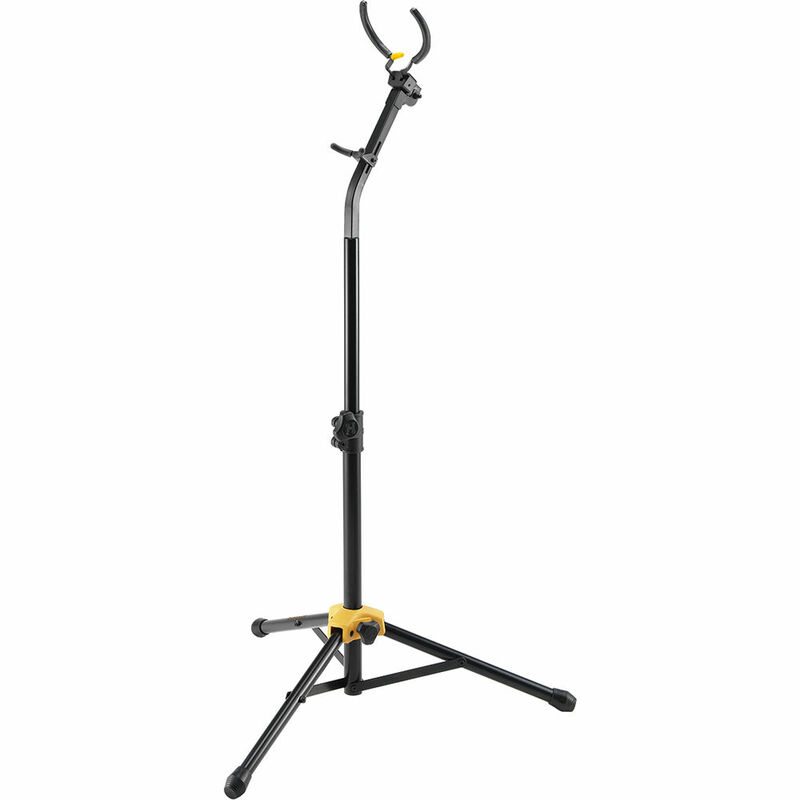 The adjustable backrest safely accommodates either an alto or a tenor saxophone. Box Dimensions (LxWxH) 19.685 x 11.969 x 5.354"